Toronto Life recently published an article that ranked Toronto’s neighbourhoods – all 140 of them – by housing, crime, transit, shopping, diversity and a few other criteria. Certainly, Rosedale residents would have no issue with the report as they were ranked #1. However, if you live in Cabbagetown (#45), Playter Estates/Danforth (#66), Thorncliffe Park (#124) or Mount Dennis (dead last), you may take umbrage with this list. The article has raised some controversy as described in this National Post article. 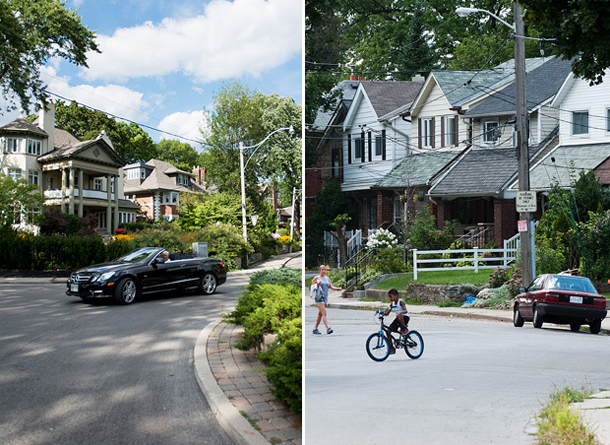 Everybody has different priorities for their neighbourhood and we all think ours is the best. The whole exercise seems a little silly but it’s interesting to see which neighbourhoods rank high and low in each of the different criteria.